this event has come and gone. We will update this page with info about next year's OC Beach Lights Spectacular as soon as we have it. 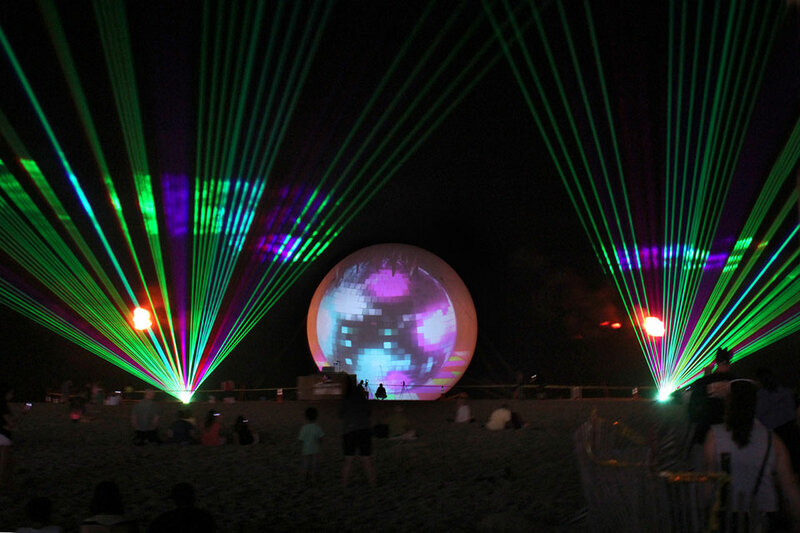 Enjoy this free, family fun laser light show every week in Ocean City! Returning to Ocean City MD this summer are fun and exciting FREE events for the entire family!First is the OC Beach Lights Spectacular Show. These shows feature lasers, lights, video, fireworks, music and special effects all displayed on a 5 story tall giant beach ball. These shows will be lighting up the beach at North Division Street three times every Sunday night, Memorial Day Weekend through Labor Day Weekend, with a special Patriotic Show Saturday May 28th. Show times are 9:30pm, 10:00pm and 10:30pm. 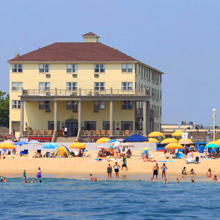 Shows are visible along the south end of the beach and boardwalk with the best viewing area on the boardwalk at North Division Street. See the full schedule and come to Ocean City to enjoy the show!